Or Movement Screening / Body Check-Up service! This can be described as a full service for the musculoskeletal system. At WPB, we believe that prevention is the best kind of treatment, which is why we’ve created our Body Check-Up – a regular screening just like those you have at the opticians or dentists. Those areas of slight ache or regular soreness might become an issue if left unchecked. It will be carried out by one of our expert physiotherapists at WPB. We are looking for areas of potential injury – short or long term, as well as areas in which performance can be enhanced with some specific remedial work. This will be discussed in detail and a plan formulated. The work will mostly be in the form of exercise or possibly combined with a treatment programme. The assessment itself will not benefit you – it is the work that is done as a result of it! This is why following the screening we often recommend a 40-minute follow-up appointment at around 4-6 weeks after the screening to ensure your performance and body gain the most from this process. The assessment of your movement patterns, muscles, joints and nerves for stiffness, weakness and control will create a series of recommendations for home work and treatment or maintenance as appropriate. The gains are made not form the assessment but what you do with the information! Functional Motion Control Assessment using video analysis, if required, to look at the movement patterns of athletes, which can give the physiotherapist a huge amount of information and help tailor the screening process. Musculoskeletal Screening which systematically works through the spinal and limb systems looking for areas of tightness, weakness, too much or too little movement, muscle imbalance, neural tightness and specific control of the joints will also be examined. 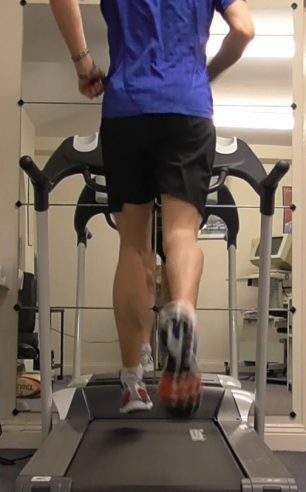 Video Gait Analysis and sport specific movement profiling of walking and running. Exercise Programme will be set, teaching you which exercises to work on to help normalize and optimize your biomechanics. What will be covered explicitly depends on what areas are most important or problematic to the athlete/patient. Some screening assessments may not include video gait analysis if this is not relevant. We will endeavour to make your screening process as specific to you as possible. What to wear? Shorts, T-shirt, trainers. Please bring any orthotics and some well worn trainers. How long will it take? We generally require a double session, so 80 minutes to get the screening and video analysis completed, usually followed by a 40 minute follow-up as appropriate to the individual. The double session is particularly useful if you are travelling a long way (We have patients who travel from Europe and the USA). However, if you are local and you are injured, then a single session with treatment might be more appropriate initially. We can do the video analysis at the next session or in a follow-up session. Cost of screening – £96 for the first double session. Follow-ups at £48 as required. There is no such a thing as ‘normal’ as people move in all different ways. Each assessment will be individual to you and your needs – we don’t want anyone thinking they’re not normal or being paranoid about things that don’t really matter! It is a case of relating ‘faulty’ movements to an injury or niggle and correcting it before it develops further. ‘I can’t emphasise enough how beneficial ongoing monthly check-ups have been in avoiding injuries and finding ways to get those essential marginal gains,’ says Sonia Samuels, who raced in the marathon for Team GB at the Rio Olympics.